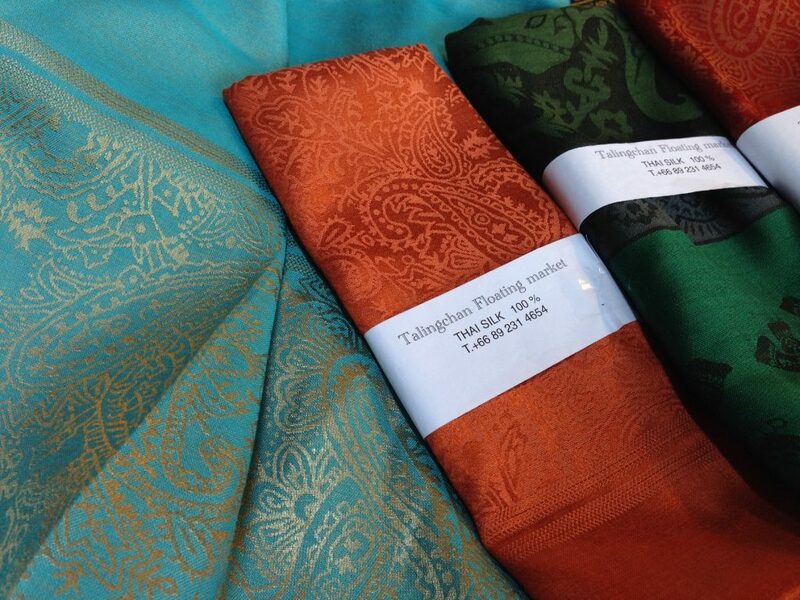 Taling Chan is one of the famous five floating markets in Bangkok. It’s not the biggest one, but it’s the closest to the city. By taxi from central Bangkok, it takes around one hour to get there. 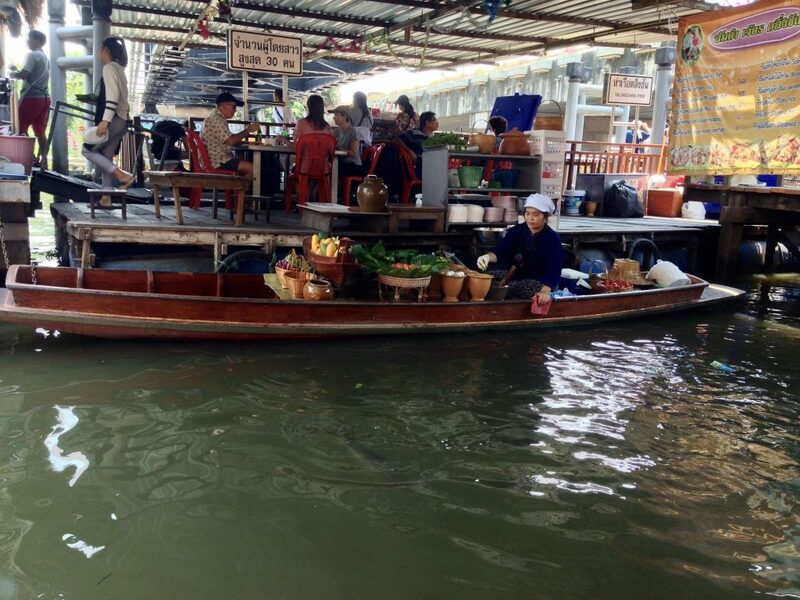 All the floating markets are not located in Bangkok per se. They’re all in the suburbs. 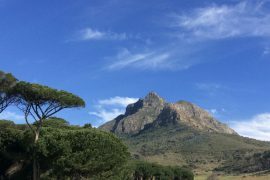 And the best time to visit them is early in the morning — from 7am to noon. 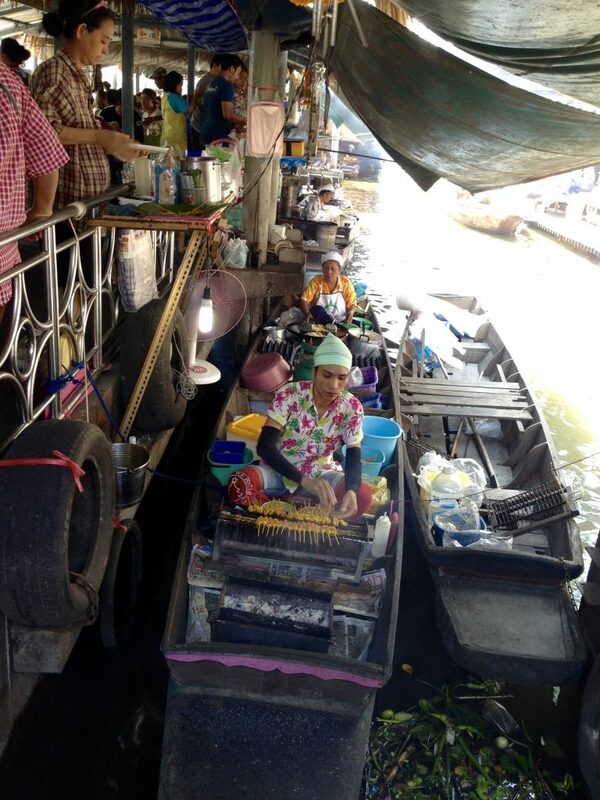 The Taling Chan floating market opens from 8am until 5pm. The earliest you’re there, the better, because you can avoid all the crowd and the heat. 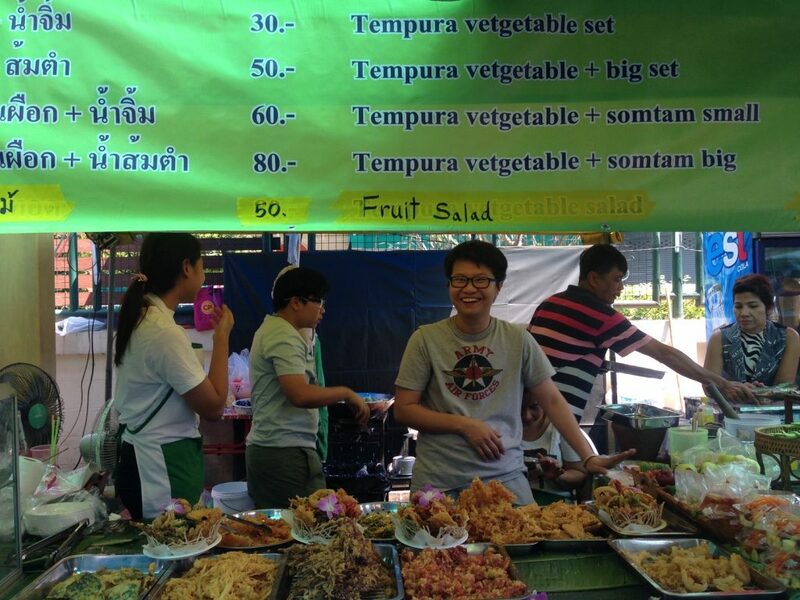 Once you get there, you’ll be greeted by the local sellers selling anything from food to flowers. It really has everything you need to spend a good half day there. The market is not as crowded as I expected. I thought there will be so many boats, but there are not. There are some boats, here and there, for sure, but it’s not as packed as we see in the TV ads. 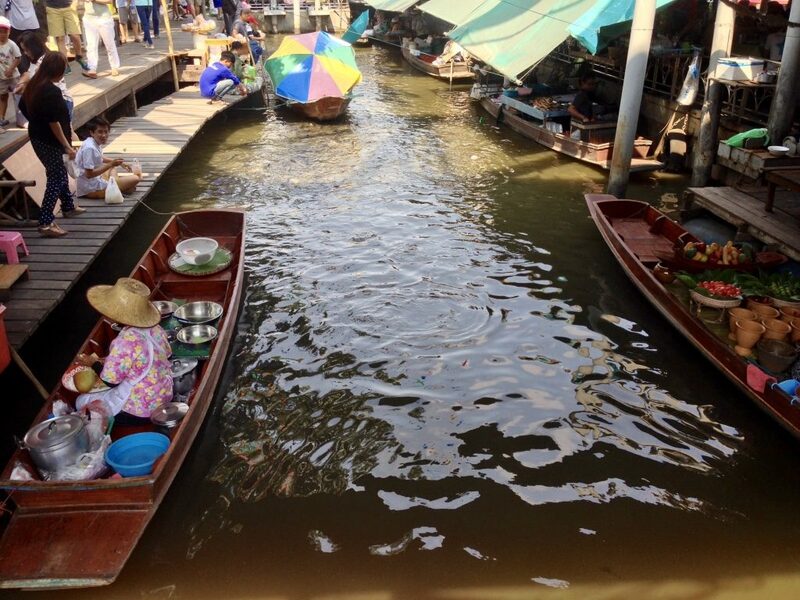 I guess the one on TV is the bigger one — either the Damnoen Saduak or Amphawa floating market. Disappointed? A little bit. 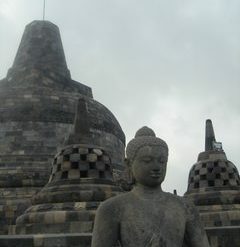 But, at least this one is not so overwhelmingly packed with tourists. I notice that most of the visitors are actually local people! They come here with their family or loved ones. Most of them come here to eat. 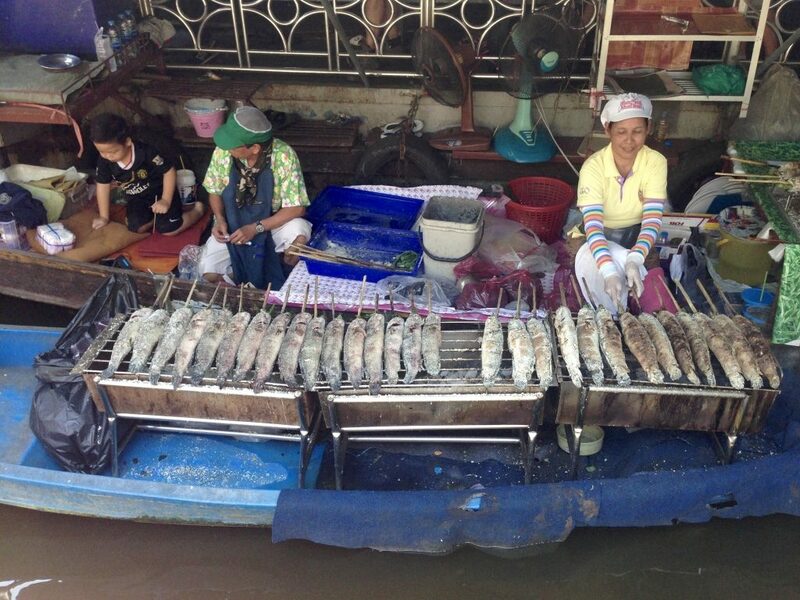 And they order their food from the boats that are floating in the river :). Pretty cool. Lots of the “restaurants” have seafood in their menu. How about for vegetarian? 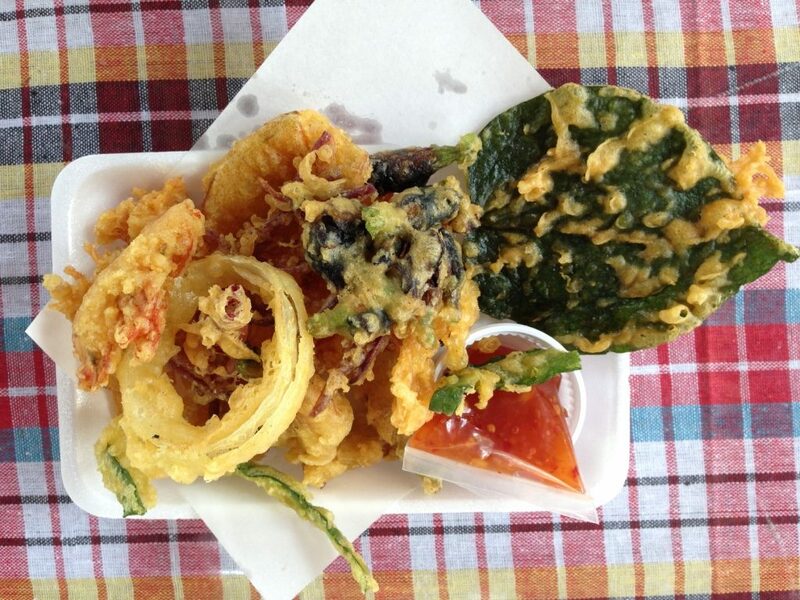 Don’t worry, they always have fresh vegetable dishes, the tasty fruit salad, and fried vegetables – tempura style, for you! 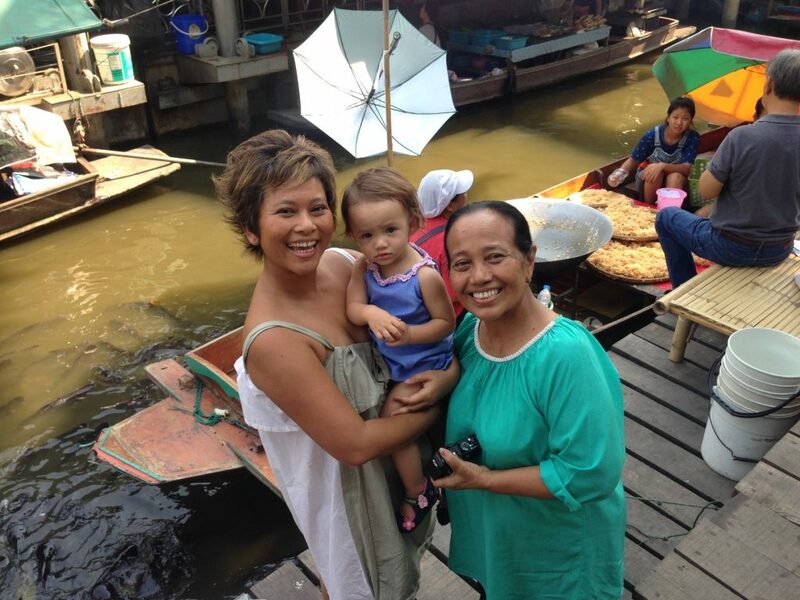 I visit the Taling Chan floating market with my baby and Mom. 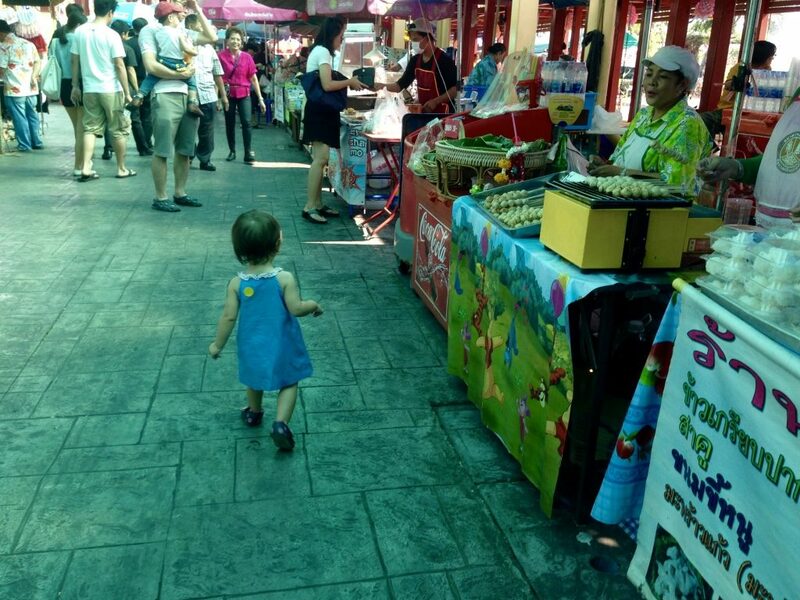 Sienna Little Explorer is one year and two months old now and she can enjoy the market, pointing out the fish in the river, visiting some stalls, and walking down the “street” chasing dogs, and all that. Very cute :). 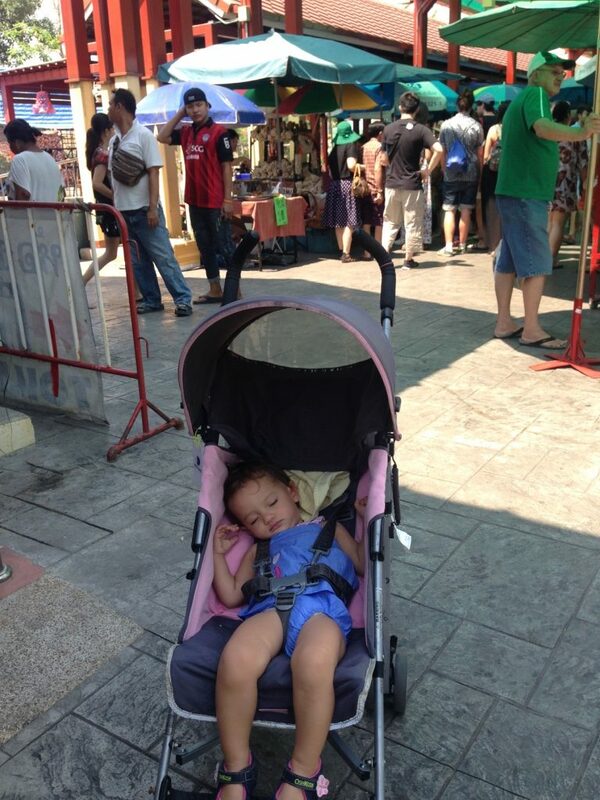 This market is definitely child friendly, because you still can push the baby stroller in the street. Although the “floating restaurants” by the river — after you pass the small bridge, has a little alley way, you still can space is a handle it, I think. And people are nice enough to give you some space to walk with the baby stroller. 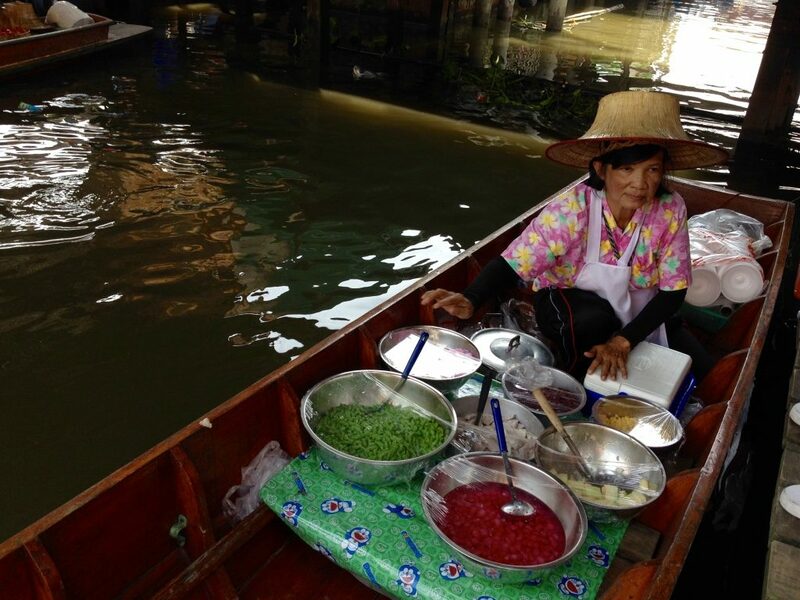 Eating by the river and ordering your meals from a cook who prepares your dishes on a wooden boat – floating in the river – is definitely an experience! 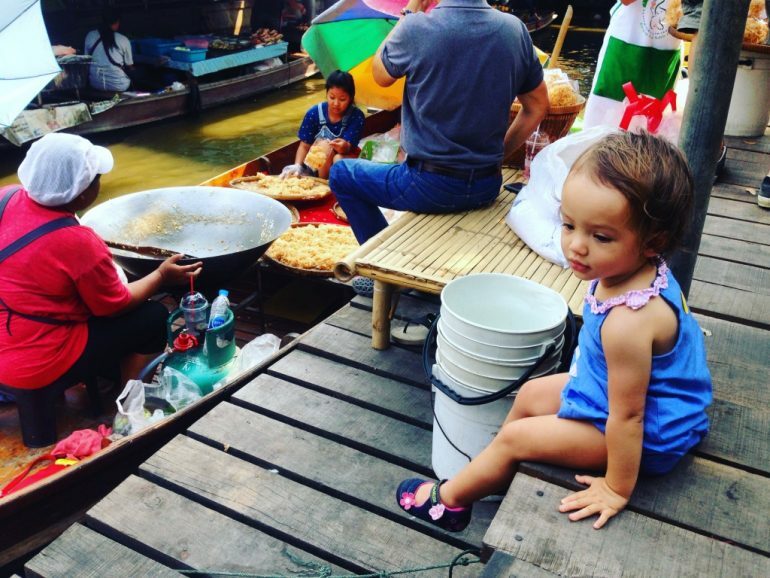 But since I visit this floating market with a baby, I choose to sit in the gate, just before that small bridge. It’s quite spacious, breezy, and has some plastic chairs and proper table. It’s much easier to eat there and park the baby stroller next to the table. Plus, my baby even falls asleep peacefully there! 🙂 The breeze makes her sleep tight, I guess. Be sure you bargain. And oh, don’t forget to bring cash, because credit card is not accepted here! 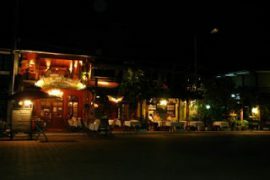 Previous articleWhere to go in Bangkok with a Baby?